﻿ Kamalas Guest House, Chiang Mai | FROM $13 - SAVE ON AGODA! "Price are exceptional good, staff are friendly,room clean ev..."
Have a question for Kamalas Guest House? "The rooms are clean and cozy." "Just a minute walk out to main road , tapae gate are within walking distance,many cafe n eateries around the hotel." "Definitely will be back for my next trip Strongly recommend to all budget traveler, this is the best value for money accommodation I ever stay." 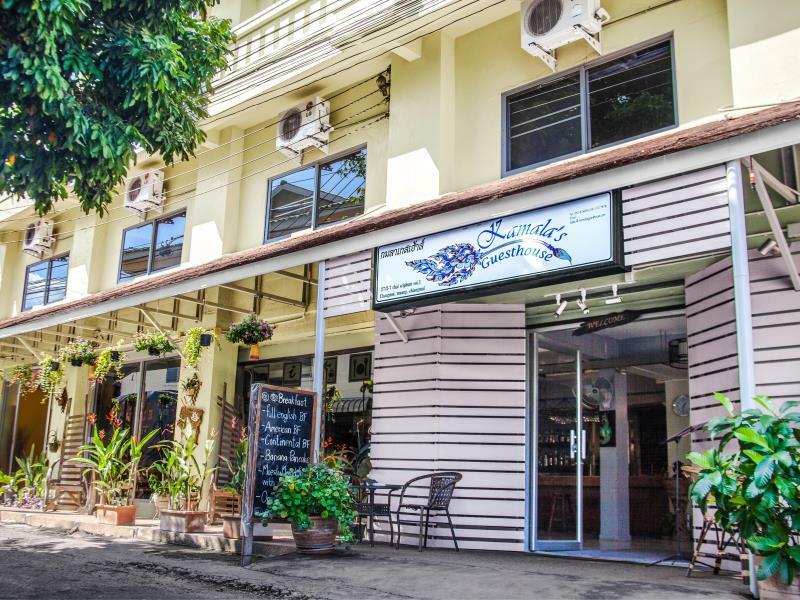 "Nice for a cheap accomodation"
Whether you're a tourist or traveling on business, Kamalas Guest House is a great choice for accommodation when visiting Chiang Mai. The hotel is not too far from the city center: just 1 km away, and it normally takes about 10 minutes to reach the airport. Visitors to the hotel can take pleasure in touring the city's top attractions: Ban Nit, Malai Come, Wat Chomphu. 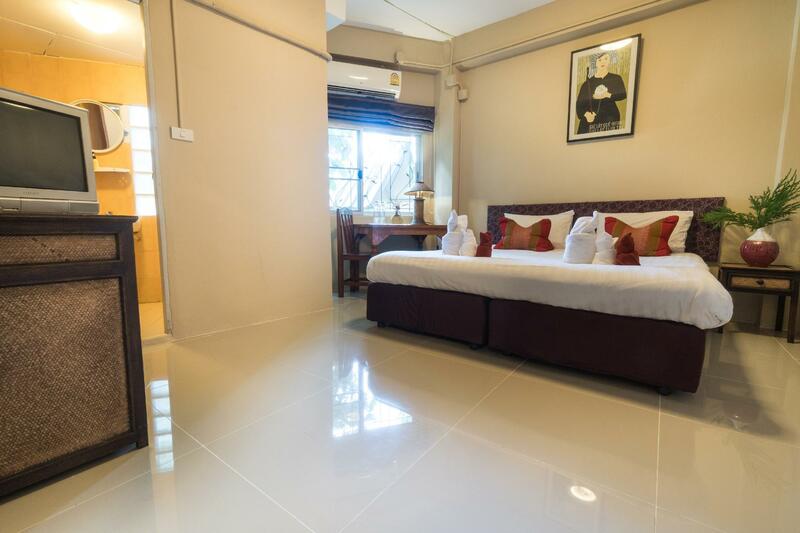 Offering hotel guests superior services and a broad range of amenities, Kamalas Guest House is committed to ensuring that your stay is as comfortable as possible. Top features of the hotel include free Wi-Fi in all rooms, luggage storage, Wi-Fi in public areas, car park, room service. Guests can choose from 13 rooms, all of which exude an atmosphere of total peace and harmony. Besides, the hotel's host of recreational offerings ensures you have plenty to do during your stay. Enjoy unparalleled services and a truly prestigious address at the Kamalas Guest House. "The rest of the staff were very friendly as well." I really enjoyed my 4 days at Kamala guest house. That’s why I decided to extend my stay for one more week. Staff is nice and speak English. The rooms are clean and cozy. Special mention for the mattress, which is absolutely fantastic. I’ll be back there again, for sure. Highly recommended! I'd booked this place last-minute only for 3 nights thinking I'd extend or find something else if I liked Chiang Mai. Well, despite the name being a guest house, the place is pretty much like a budget hotel! Upon entering the room, I was pleasantly surprised at the interior, layout, facilities! Pros - Location not center, but still close enough to walk by crossing moat area. Quiet at night. Budget hotel-like layout with pretty cushions, TV, mini fridge, safe, side table with lamp. Friendly staff. Thick mattress. Powerful (enough) and hot shower. Free coffee/tea in hallway (nice gesture). FOB entry past 11 (no need to knock like at some hotels). Cons - Maybe location for those who want to be in center, but you can judge this before booking. Bed moved a bit too easily. Bathroom a bit less attractive than room. Lobby area downstairs sad. Discussed with staff for improvements. The place could be so much better if the 1st floor was improved. Currently bad layout and design. If you like a firm mattress and a peaceful location .....just a short walk from the noisy, busy and smoggy city centre, this is the place to be. Choice of coffee cafés and food places - ranging from 4 star dining to realiable roadside foodstalls, it's all within 5 minutes walking distances. Kamalas staff is accomodating and friendly, professional and considerate. Makes one feel at home. Price are exceptional good, staff are friendly,room clean everyday, bed are comfort ,water pressure strong. Just a minute walk out to main road , tapae gate are within walking distance,many cafe n eateries around the hotel. Definitely will be back for my next trip Strongly recommend to all budget traveler, this is the best value for money accommodation I ever stay. I had a very nice stay here. Everything was good. If I can suggest something, they should make a Do Not Disturb sign to hang at the door because the housemaid just knocked at my door while I was sleeping. Anyway, I still would recommend this place. Easy acess from Thapae gate. Very good location to walk around. Facilities are a little bit old. However, the rooms are well maintained. Very quiet room. I'm a frequent traveler and am often on business. I love my job and my life, but travel takes a toll sometimes. When I booked the room on Agoda, I was very specific about my needs and desires. I am so happy to say that every one was met without exception. I highly recommend this property. The staff and the owner make the guest's comfort their primary concern. Its outlook will not surprised u but the room is and extremely clean which will impressed u, and the staff here are friendly and helpful, they are always smiling and polite. And the breakfast,if u wanna have a try, will also be good with the price. This place will be a good choice if ur budget is limited . Hotel located close to night markets, temples, street and restaurant food all within 15mins by foot. The 2nd shift receptionist was excellent. Her name is Beer. She is extremely helpful and very polite. The rest of the staff were very friendly as well. They made us feel like "home away from home". We were definitely go back again. We loved it here. We extended our stay 4 extra nights. It's a 5 mins walk to the old city, 7/11 and lots of awesome restaurants. Good area, everyone's very welcoming of travellers. Staff here are great! Everyone speaks English and is really friendly. Our room is a bit bigger than some of the others but even the smaller rooms are great. Comfy bed, pillows and either fan or a/c. Shower is awesome. Bathroom could use a little extra cleaning but it's pretty Asia standard. Restaurant downstairs has good reviews but we haven't tried it. My only complaint is the wifi. It's only strong downstairs and I really wouldn't mind that if they had a hammock... but they don't! We would 100% stay here again! We had a very good stay here. The room and the hostel were clean and the staff were very friendly and could help us with all our questions. with 5 minutes walking you're at the Tha Pae gate and most restaurants. Breakfast was good but very little, additional options were relatively expensive. However overall I would definitely recommend this hostel. Pleasant stay, very very nice and helpful staffs. Surprisingly big room and bed, a little old but clean. Restaurant downstairs looks nice but I never had a chance to try their food tho. Only downsides is that only one parking spot, but can park outside in the ally.